Divinity: Fallen Heroes is a tactical RPG collaboration between Larian Studios and Logic Artists and it's set after the events of Original Sin 2. Larian Studios is setting things up to continue the story of Divinity: Original Sin 2 with a new standalone experience. The team announced Divinity: Fallen Heroes, a tactical game developed by both Larian Studios and Logic Artists. 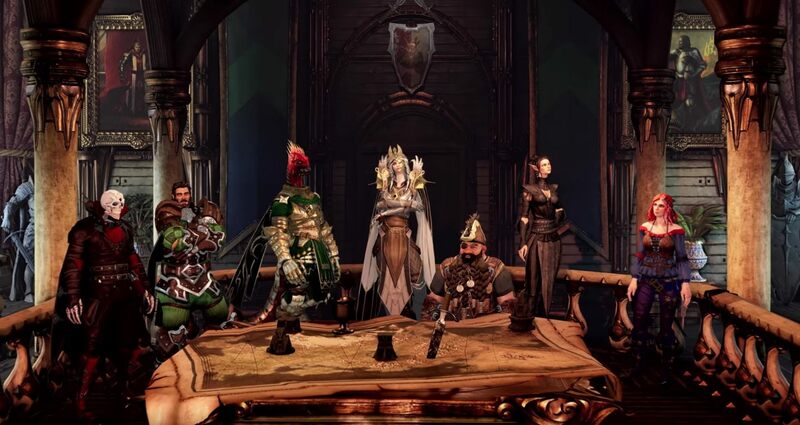 "We're thrilled to finally reveal that Larian Studios has trusted us with the immense responsibility of delivering a new installment in their treasured series," the Logic Artists team stated on Twitter. "We're working hard to make Divinity: Fallen Heroes the game fans have been waiting for!" "Fallen Heroes marries rich tactical gameplay with RPG choices and consequences, and introduces a wealth of new features and mechanics to the D:OS 2 engine. It will be released on multiple platforms later in the year. Delve deeper into the world of Rivellon as you command your troops aboard the Lady Vengeance. Explore new lands and wield new weapons and skills. Build your squad and vanquish never-before seen corners of Rivellon. Divinity: Fallen Heroes features two player cooperative play as well as a single player mode." PAX East 2019 is going down this week and, if you're attending, Larian Studios has hands-on opportunities with Divinity: Fallen Heroes. If you're not, stay tuned to Shacknews for a preview in the near future. There's a lot of info coming out of PAX East and you don't want to miss out.